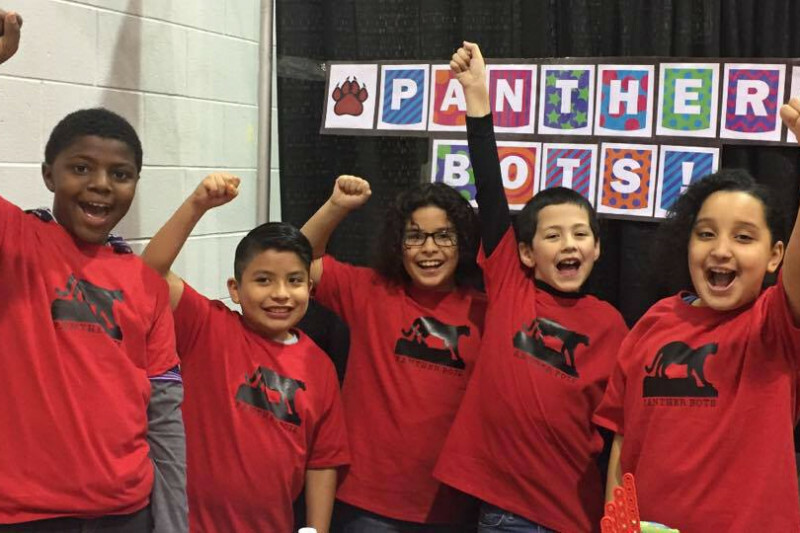 Five students from Pleasant Run Elementary School in Indianapolis, Indiana, call themselves the Panther Bots. The fourth-graders combined their talents and built a machine from Legos. Team members included Elijah Goodwin, Angel Herrera-Sanchez, Jose Verastegui, Manuel Mendez, and Devilyn Bolyard. They were either Hispanic or Black, aged nine and ten, and came from a low-income part of town. One of the Panther Bots, Elijah, commented about the heckling as follows: “They yelled out rude comments, and I think that they can talk all they want because at the end we’re still going to Worlds. It’s not going to affect us at all. I’m not surprised because I’m used to this kind of behavior.” True to his words, a few weeks later, the Panther Bots won a Create Award at the state competition and were heading to the Vex IQ World Championship in Louisville, KY. The team crowdfunded the money to take their robotics skills to the next level and quickly met their goal of $8,000 by raising over $12,000. Great work, guys. We commend you on your skills and more importantly, your strength to look beyond the remarks of an ignorant few.